Police Capture 2 Florida Prison Escapees Who Used Phony Documents : The Two-Way The Associated Press reports that two convicted murderers from Florida who used phony documents to escape prison were arrested Saturday night without incident at a motel in Panama City, Fla. The Associated Press reports that two convicted murderers from Florida who used phony documents to escape prison were arrested Saturday night without incident at a motel in Panama City, Fla.
"Joseph Jenkins and Charles Walker, both 34, were taken into custody about 6:40 p.m. at Coconut Grove Motor Inn. They were apprehended just a couple of hours after their family members held a news conference urging the men to turn themselves in." "The Florida Department of Law Enforcement did not immediately release any other details about their capture or investigation." Joseph Jenkins and Charles Walker — convicted killers who were recently released from a state prison in Florida thanks to faked documents featuring forged signatures of a judge and prosecutors — later walked into an Orlando County jail to register as felons. "They signed paperwork. They were fingerprinted, and they were even photographed before walking out of the jail without raising any alarms." As The Orlando Sentinel says, the killers went to the jail in Orlando "not to turn themselves in, but to re-enter society." "Felons are required to register by law. When they do, their fingerprints are digitally uploaded to the Florida Department of Law Enforcement, and a deputy at the jail verifies that they don't have any outstanding warrants, said jail spokesman Allen Moore. "By registering as the law required, they likely drew less attention.
" 'If there's no hit that comes back, they're free to go,' said Isaiah Dennard, the Florida Sheriff's Association's jail services coordinator. If felons do not register, a warrant is put out for their arrest, Dennard said." Jenkins and Walker are still at large. NPR's Greg Allen tells our Newscast Desk that a nationwide alert has been issued. He adds that "Florida's Department of Corrections says it's now changed its procedures — requiring verification by the sentencing judge before any inmate is released." Authorities are also, obviously, looking into who created the forged documents. 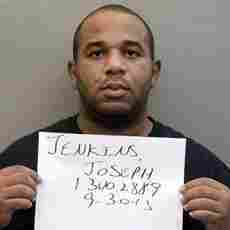 "Jenkins, 34, was found guilty of first-degree murder in the 1998 killing and botched robbery of Roscoe Pugh, an Orlando man. 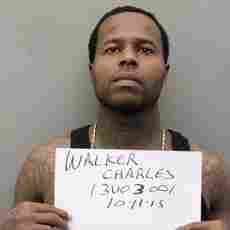 ... Walker, 34, was convicted of second-degree murder in a 1999 slaying in Orange County. He told investigators that 23-year-old Cedric Slater was bullying him and he fired three shots intending to scare him."